Let there be light! 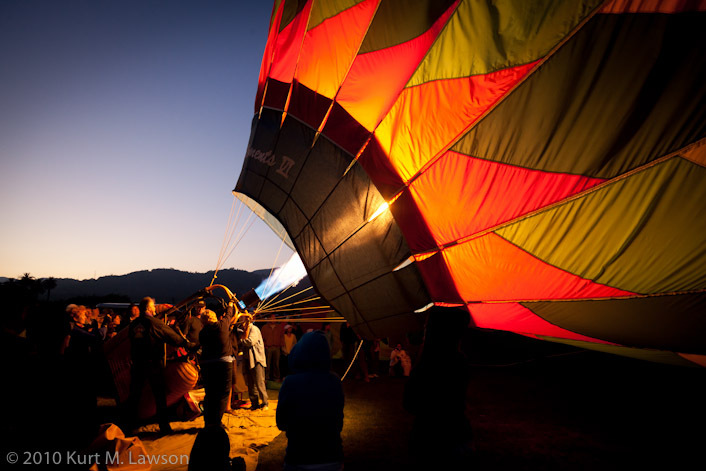 At the end of July, the town of Santa Paula, California hosted the Citrus Classic Balloon Festival. Like many people, I had never actually seen a hot air balloon up close. They were always things that I saw in the distance while driving on the highway or in pictures that other people had taken. Driving up on a Friday evening I took up my photo gear and headed into this unknown territory. It turned out to be really amazing. Essentially, the event has a large field in which the balloons set up. Each balloon is rolled out onto the ground and carefully unfolded. To start the inflation process, large fans start blowing into the balloons on their side to get some air in there. 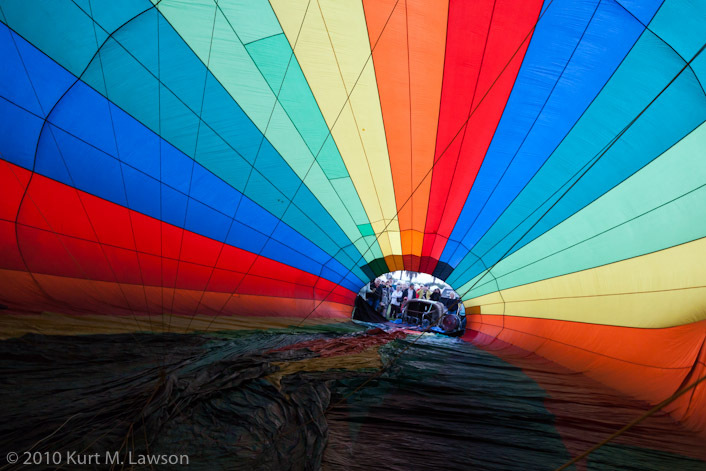 Here you see the view of the inside of a balloon that is being inflated by fans. 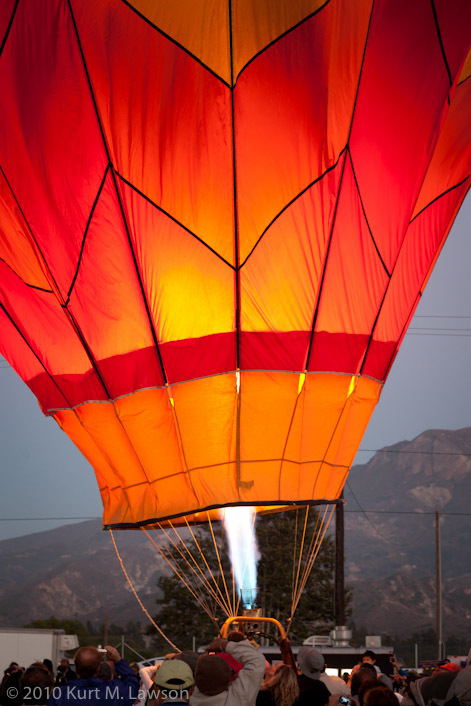 Once the ballon gets enough air from the fans, the basket is tilted and the burners can be fired. This is what you see in the first picture. I had no idea the burners produced such massive flames. The main event of the evening was called the “Evening Glow.” For this event, the balloon captains fire their burners in unison to illuminate all the balloons at once. It was really quite a sight. Finally, when it’s time to pack up one of the balloon captains flew his balloon into the trailer (with the help of several people holding it down). After this they would pull the balloon down with ropes so that it laid down straight to be folded up until the next time. It was a really fun event to shoot. The light levels were really challenging and in every direction there was something to shoot. Kristen - These are gorgeous, Kurt! I love the illuminated balloons against that blue, blue sky.